Passionate about composing about place and the human experience, Christina Rusnak seeks to integrate context into her music from various sources, including landscape, culture, history and art. She strives to compose music that is thought provoking, and engages both the performers and the audience. Ms. Rusnak’s works include chamber, orchestra, and solo pieces as well as women’s choir, jazz, electro-acoustic works, and film. Rusnak’s work has been performed at the Fairbanks Summer Arts Festival, the Parma Music Festival, and the CSUF New Music Festival. An avid hiker, Ms. Rusnak has created works for Oregon State Parks, the U.S. Forest Service, National Parks and Monuments, and Wilderness areas in the U.S., including North Cascades National Park and Mt Adams Wilderness. She has received commissions from the Dallas Contemporary Art Museum, Third Angle New Music Ensemble, Vocal Luna, and performances from The Kiev Philharmonic, Corvus New Music Ensemble, Vocal Luna, and Jeffrey Jacob, among others. Most recently, Ms. Rusnak worked with Kino-Lorber Films to score music for a restored silent film. 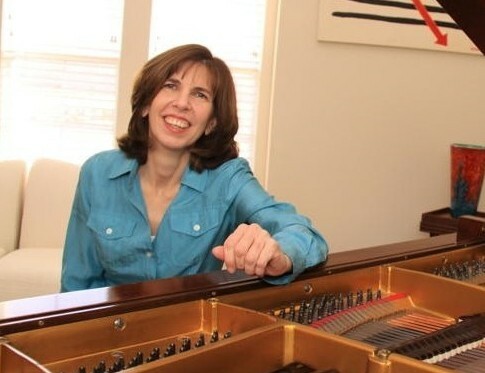 Ms. Rusnak’s essays have been published in NewMusicBox, LandscapeMusic.org, and the Journal of the International Alliance for Women in Music, among others. Her music is available through Amazon and Naxos. Ms. Rusnak also works with communities and organizations to bring music, culture, and heritage into public spaces. The Life of Ashes (2014) for flute,percussion, and viola. Recorded live by Janet Bebb, Brian Gardiner, and Christopher Fotinakis, 2014. Excerpt from Cloudburst (1998) for percussion and strings. Recorded by the Kiev Philharmonic Orchestra.